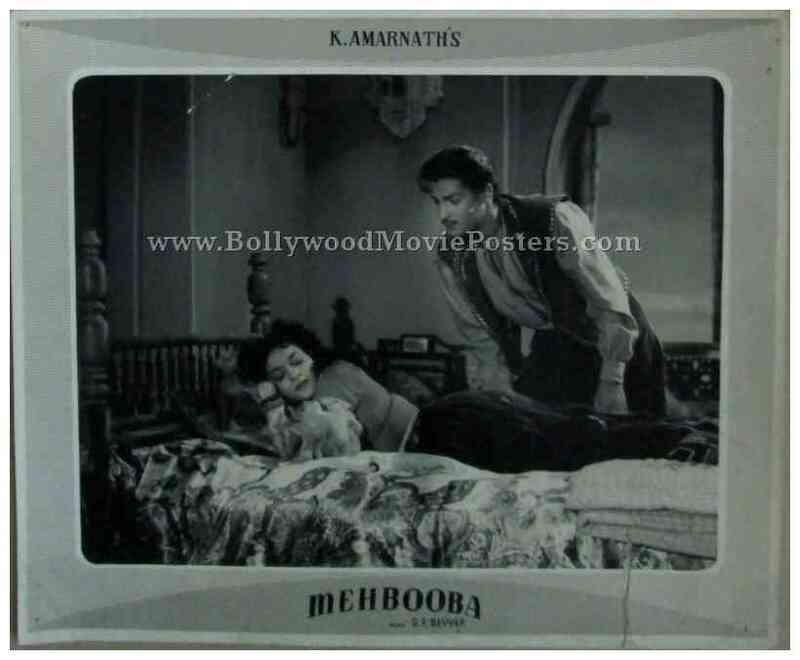 Black and white old Bollywood photo stills of the Hindi film, Mehbooba (1954) for sale. This is an actual surviving set comprising two old Bollywood lobby cards of the 1954 Hindi film that starred the Elvis Presley of India, Shammi Kapoor in the lead role. 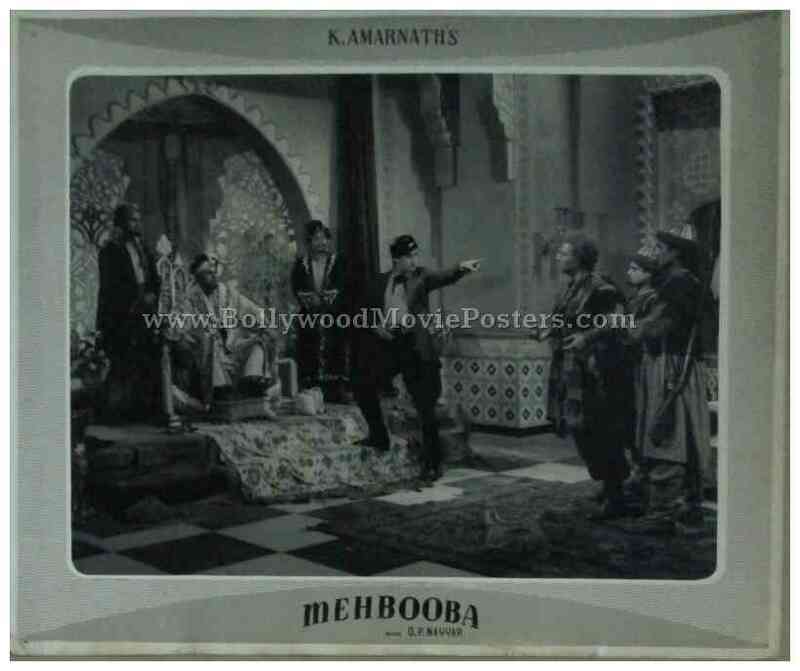 Printed and circulated during the original first release of the film (early 1950s), this set of two old Bollywood black and white pictures was printed for publicity of the film inside a cinema hall. The four corners of these old Bollywood lobby cards display visible pin hole markings – tell tale signs of being pinned on the notice board of a movie theater.